Masala is a word that is often used in an Indian kitchen. It literally means a blend of several spices. 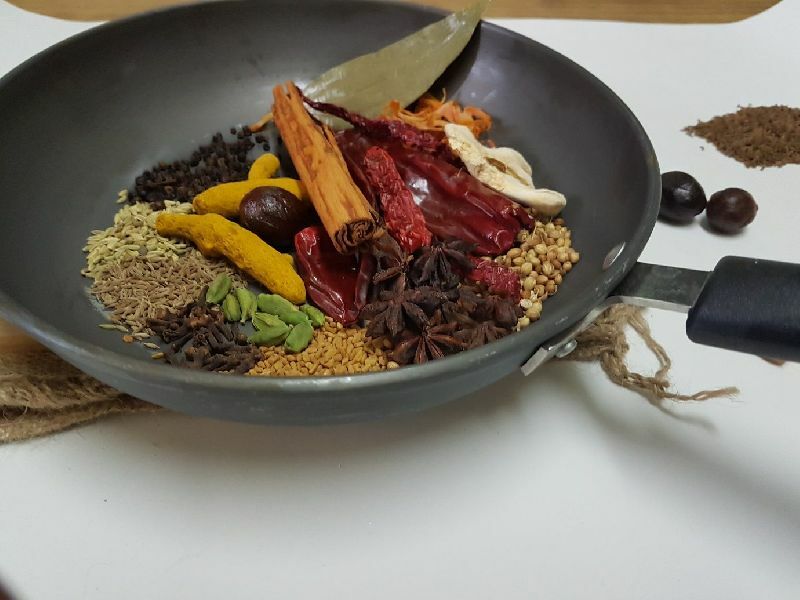 Garam (hot) masala is the most important blend masala and an absolute essential to north Indian preparations, added just before serving the dish to enhance its flavour. A Classic Garam Masala would have approximately equal quantity in weight of cinnamon, clove and black peppers, green cardamom with a little black cardamom. The rest depands on individual preference. For home-made recipe can add fennel seed, cardamom pod and a touch of bay leaf.